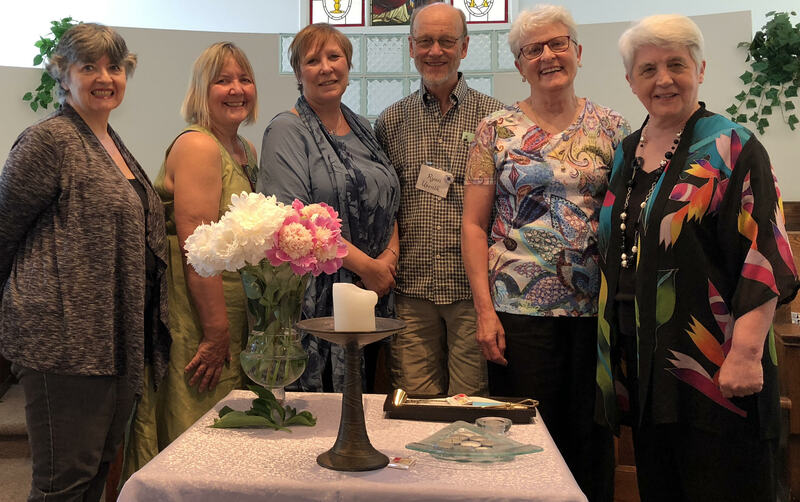 South Fraser Unitarian Congregation is governed by a Board of Directors elected from among the congregation. New officers are elected in May. From left to right: Jo Twiss (Secretary), Gwen MacKinnon (President), Rev. Samaya (Minister), Ryan Usenik (Past-President), Linda Pugh (Treasurer), and Gloria Tiede (Vice-President). Members and friends of the congregation are expected to support the Covenant of Right Relations. We are protected by a Disruptive Behaviour Policy. And the Bylaws govern our organization.